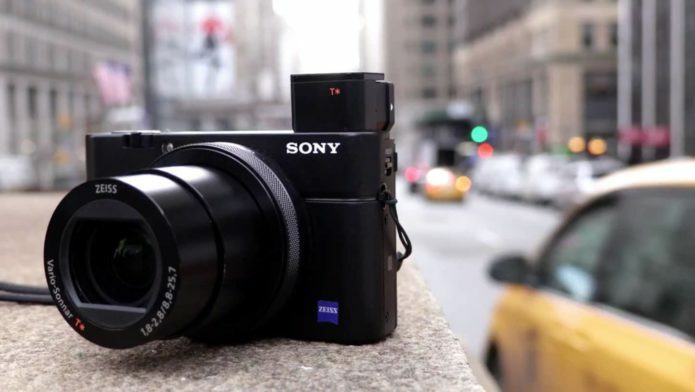 Since the release of the first RX100, Sony has made some impressive leaps forward in terms of what a compact camera can do – particularly when you look at speed, autofocus and video. From the built-in pop-up EVF of the RX100 III to the introduction of phase detection AF on the RX100 V, these little cameras continue to raise the bar higher and higher in this segment. The sixth generation in the series doesn’t really bring anything substantial to the table but it does improve perhaps the only weak point of the series: the zoom range. Oh yes, and they’ve finally implemented a touch screen! The most noteworthy upgrade found on the sixth model in the series is the lens. With a 24-200mm equivalent zoom, the mark VI becomes the most versatile RX100 camera to date in terms of focal range. The non-constant aperture goes from 2.8 to 4.5 (at 100mm it opens to f/4). You can increase the reach further in digital mode (32x with full resolution of 20MP). The optical Steadyshot has been improved with a 4 stops CIPA rating. 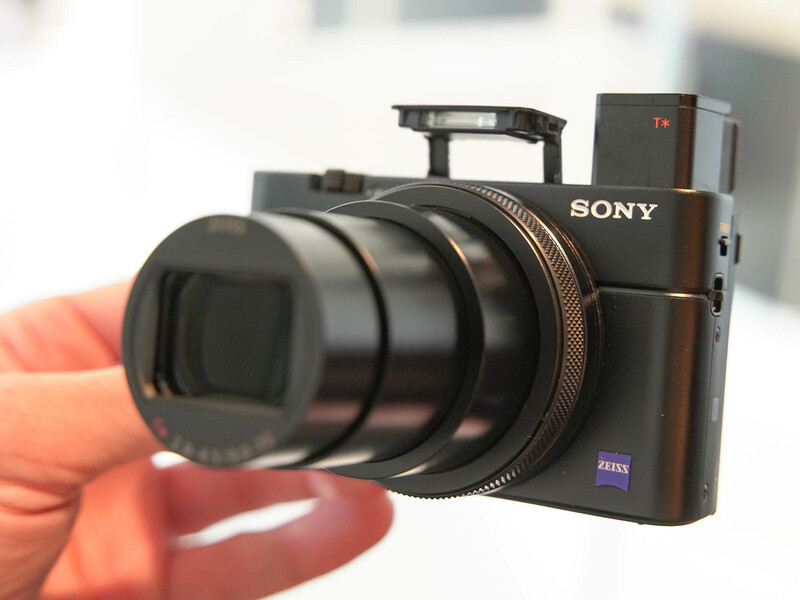 At last, an RX100 camera gets a touch screen. On the VI, you can can move the focus point or use the screen as an AF Pad when looking through the EVF. There is also a new Touch Shutter mode that allows you to take a shot by simply touching the monitor. As you might have guessed already, the RX100 V lacks touch sensitivity. There is also an update to the tilting mechanism: both can be rotated up 180° but only the VI can be tilted down 90°. The RX100 V stops at approximately 45°. Both cameras share a hybrid autofocus system with 25 contrast and 315 phase detection points that cover 65% of the sensor. It works for stills and video and for the latter you can use the AF Drive Speed and AF Tracking settings. 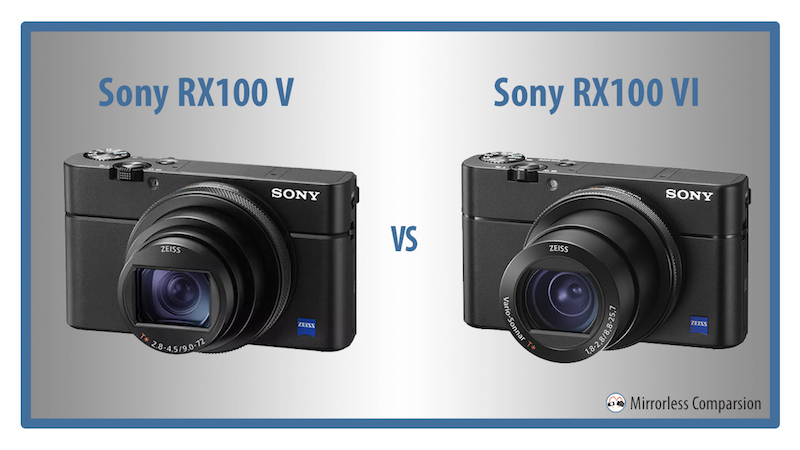 The RX100 VI improves the acquisition speed to 0.3s versus 0.5s on the mark V model. 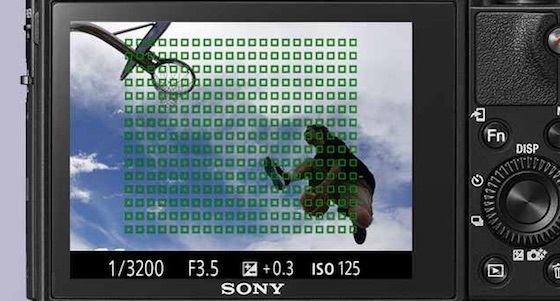 It is the first RX100 camera to include Sony’s High-density AF Tracking Technology, where as many points as needed are concentrated around the subject to improve AF accuracy for moving subjects. Eye AF is also twice as fast. The RX100 VI has a faster image processor than the mark V model which – combined with a front-end LSI – improves the AF speed (including Eye and Face detection) and reduces the time-lag in the electronic viewfinder amongst other things. 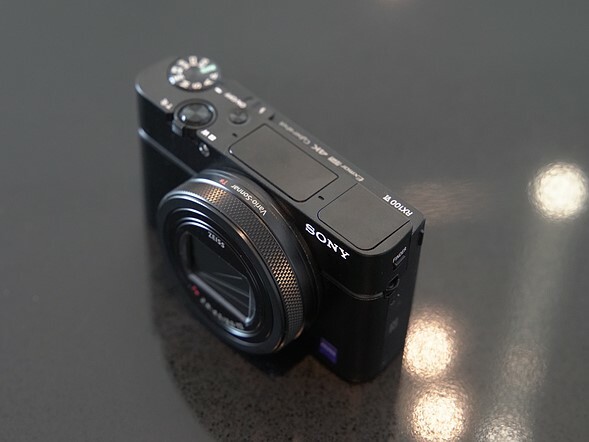 The RX100 V can shoot at 24fps for a maximum of 150 shots (JPG Fine) before it starts to slow down. The mark VI model improves the buffer to approximately 233 frames. In addition to the S-Log2 gamma (also found on the RX100 V), the mark VI has S-Log3 and HLG (Hybrid Log Gamma) which supports HDR workflow. When video files are played back on a HDR/HLG compatible TV, the images appear with the right contrast and colour without the need to colour grade. The RX100 VI benefits from the latest menu system which includes the My Menu page where you can shortcut your favourite settings and avoid digging inside the menu to find them. Images shot in continuous mode can now be displayed as groups in playback mode, making it easier and quicker to scroll between shots. Finally the zoom lever can be set with different zoom speeds. Unlike the M5, you can use Bluetooth to record location information when the camera is paired with a mobile device and the PlayMemories mobile app. As we’ve already seen with other recent camera models, it looks like Sony is ditching compatibility with the PlayMemories app store. Except for the mobile app mentioned above, users can no longer download the apps found in the store including interesting ones such as Digital Filter and Time-Lapse. Why Sony doesn’t implement these apps by default on the new cameras – especially those that are freeware – remains a mystery to me. Given the outstanding performance of these little cameras, we can’t expect a great battery life. Still, Sony seems to have improved the performance on the RX100 VI a little. Looking at the official specifications, the new camera can record 240 shots with the LCD / 310 with the EVF whereas the mark V model can only manage 220 (LCD) and 210 (EVF). This is possible in part thanks to the new Auto Monitor OFF setting that allows you to save up to 30% still-frame battery life (according to Sony). You can choose between 2, 5 or 10 seconds after which the LCD turns off to save power. As expected the most recent model is more expensive than its predecessor. The RX100 VI can be found for around $1200, whereas the RX100 V is now available for $950. Note that older RX100 cameras such as the mark III and IV are still available and can be found for even less. When testing the RX100 IV and V, my impression was that the 24-70mm zoom range was somewhat limiting for a compact camera of this type. Sony wanted to prioritise faster apertures but I almost always felt a greater need for more reach instead. This is why I’m glad to see this refreshing update to the RX100 VI. The 24-200mm zoom range and f/2.8-4 maximum aperture are indeed more than acceptable. If the optical quality doesn’t disappoint, I think it will prove a good step-up for the series. Most other new features are just tweaks here and there that help to build upon and enrich an already impressive series. And of course, it’s nice to finally see a touch screen after all these years. Zoom reach aside, we shouldn’t forget that many of the older RX100 models are still on the market. So if you don’t want to spend a lot on a 1-inch compact camera, it’s definitely worth taking a look at the mark II, mark III and even the original RX100.